We can convert float to String in java using String.valueOf() and Float.toString() methods. It is generally used if we have to display float value in textfield because everything is displayed as a string in form. Let's see the simple code to convert float to String in java. 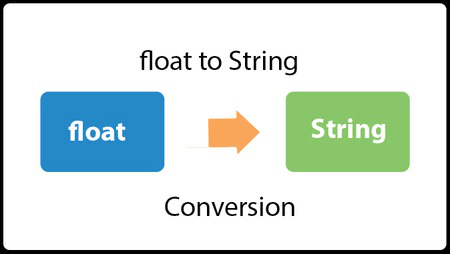 Let's see the simple code to convert float to String in java using Float.toString() method.